The Isle of Man’s House of Keys will debate whether to introduce civil partnerships for gay couples on the island. The Civil Partnerships Bill will have its first reading tomorrow and, if passed into law, will give gay and lesbian couples the same rights afforded to straight married couples. Treasury minister Allan Bell said he hoped the bill would change perceptions of the island. According to the BBC, he said: “I think we have a far more tolerant and understanding community on the Isle of Man. Gay relationships are considered as quite acceptable to most people. “I think the other changes to legislation we have brought in, in relation to the gay issue, have brought the Isle of Man in line with the United Kingdom and indeed the rest of Europe. Homosexuality was illegal on the island until 1992 and the age of consent was equalised in 2006. 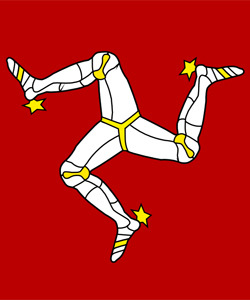 Currently, the Isle of Man partially recognises UK civil partnerships.